Summertime and the living's easy. This month is all about fresh, breezy classics that can go from the beach to the office and everywhere in-between in seconds. Trendy gladiator sandals can pair well with a swimsuit or a flowy dress. A simple leather tote can work virtually anywhere. 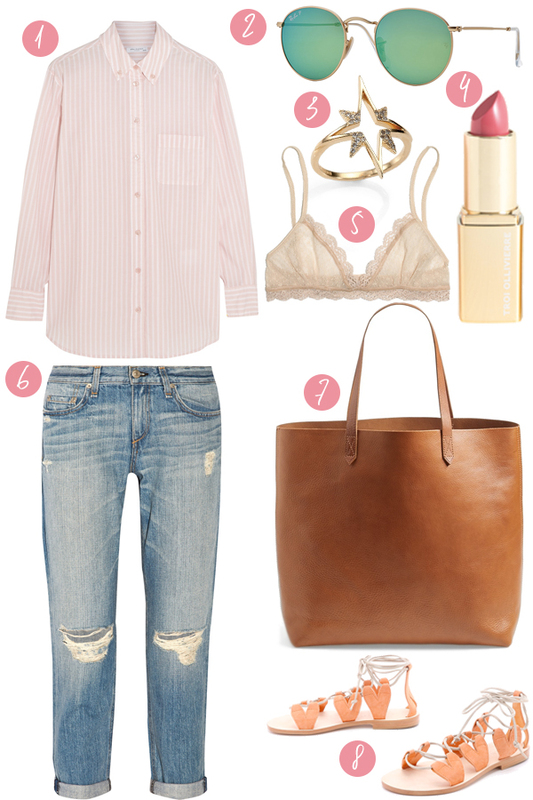 Boyfriend jeans can be applied to a variety of situations. This month is the time to stock up on investment pieces and pieces that can work wherever you go. You can never have too many button-up shirts, and though my mom says I have too many striped things in my closet (stripes are the easiest way to incorporate prints into a wardrobe of neutrals, after all) I don't think I have any pink striped things...actually, come to think of it I do have a pink striped T-shirt...but I don't have an Equipment blouse, so this would still be a worthy purchase. I'm still searching for the perfect pair of boyfriend jeans (seriously, will the search ever end?) but I like the look of this pair of Rag & Bone jeans. Apparently I have a face that is made for sunglasses, because I can never resist the call of an enticing new sunglass shape or style. These Ray-Bans are the of-the-moment shape, and I love the blue-green lenses. Gives 'em a summery feel. In beauty news, J. 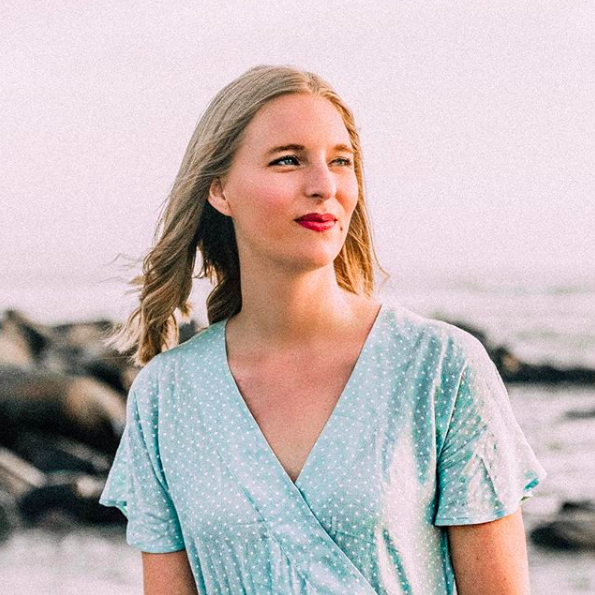 Crew just recently released three lipsticks that resident makeup artist Troi Ollivierre uses on all their photoshoots, so you too can look like a polished and preppy model (just add some beach-swept hair and of course your freshest J. Crew #look). My favorite shade is Lois, a vibrant pink (of course). In terms of accessories, I'm pretty set on necklaces for the time being (did you see my newest Madewell bling?) but I do love a good dainty ring, and this Elizabeth & James ring packs just the right amount of punch. And I'm always down for another dainty lace bra. You can never have too many of those! What's on your June wishlist?